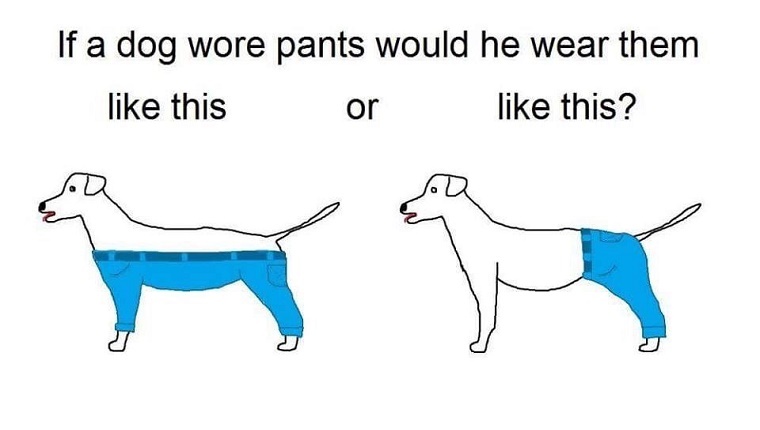 You probably are familiar with the internet’s latest debate over how a dog should wear pants. Plenty of commenters weighed in on the issue, with some even suggesting creative alternatives to the original two options for the best way for a canine to don legwear. But one Canadian company is cashing in on the recent popularity of dog pants. 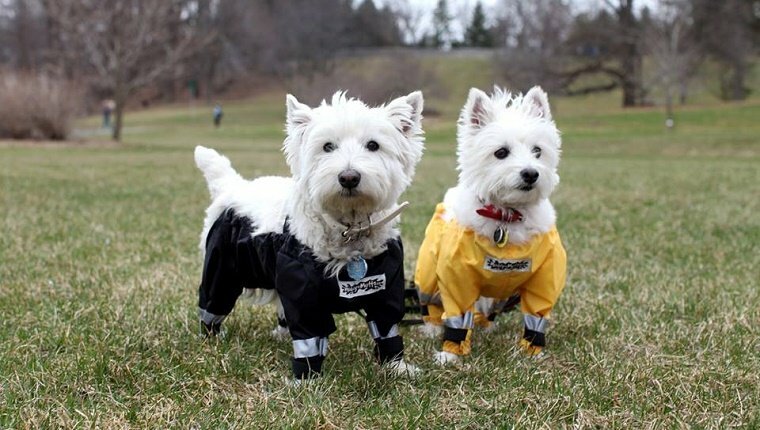 Muddy Mutts sells waterproof nylon waders for dogs that look a lot like one of the images from the dog pants debate. 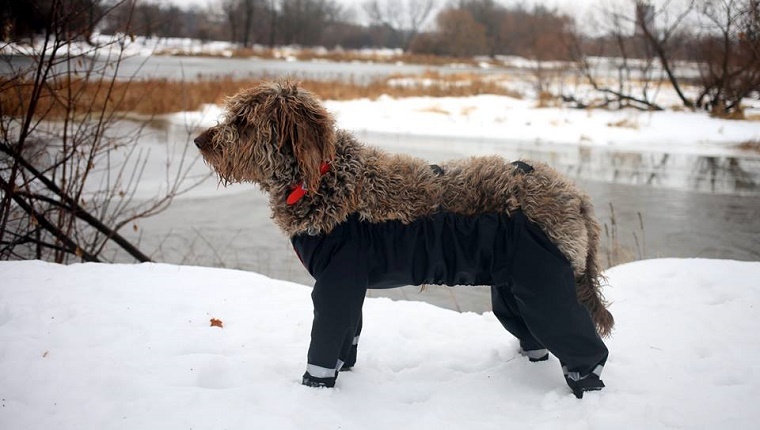 The creator of these dog pants got the idea from walking dogs in rural Ontario. 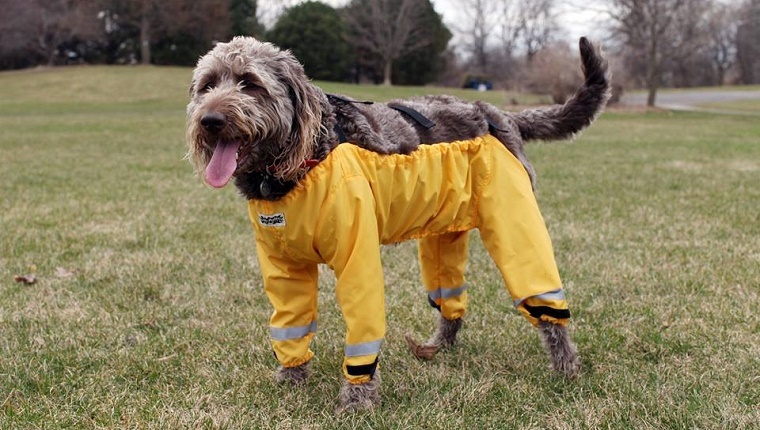 The pups would get pretty muddy, and waterproof waders kept the dogs from getting dirty. Since the internet debate over how a dog should wear pants began, sales of Muddy Mutts dog pants have gone up 2,800 percent. There’s a waiting list and the company is struggling to make enough dog pants to keep up with demand. They go for about $50 in the United States, but plenty of people are seeing value in pants for dogs. What do you think? Would you like a pair of pants for your dog? Is this the way you thought dogs would wear pants? Let us know in the comments below.